The CAT Practitioner Training is a two year training for people with a core mental health profession leading to the award of the ACAT CAT Practitioner Diploma, with accreditation and professional membership of the Association for Cognitive Analytic Therapy. For those interested in seeking UKCP registration as a psychotherapist, this course is the first two years of the four year Psychotherapy Training in CAT and leads to UKCP registration. Please scroll to the end of this page for course downloads and information. 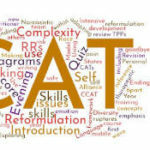 Catalyse (CAT North) aims to provide a training programme to enable professionals with competence in their own field to to develop skills to practise CAT as a 1-1 therapy. It is open to trainees with a core profession and relevant experience, allowing you to practise CAT within your core profession. This is a two year training comprising a combination of workshops or training days, seminars, peer group work, personal learning, supervision, clinical practice and personal therapy. Experiential work focuses on personal exploration and the development of CAT skills and their clinical application. Trainees must complete a minimum of eight supervised cases and pass all written work required by the course. The training days reflect ‘CAT Knowledge in Use’ and consists of a combination of preliminary reading, presentations, small and large group work, skills exercises and case discussions as appropriate and covers theoretical input relating to CAT principles and concepts and reflection on and practice with CAT tools, activities and skills. Early in the course you will be introduced to the main features of the CAT model and these will be built on throughout the two years. The content of the teaching programme in Year 1 follows the structure of a CAT therapy. Year 2 deepens knowledge and skills and covers a range of applications of CAT, specifically work with more complex cases. The training addresses theories which have informed the development of CAT and also covers issues common to all psychotherapies within the CAT context: for example, transference & counter transference; therapeutic alliance; process of change. The training reflects the social/political context and psychotherapy research. There are ten days spread throughout each of the two years, starting with two days in October and two days in November, then a further four days from January through to May. Each year ends with a two day residential in June. Single days are Fridays and two day blocks are Thursdays and Fridays. Trainees will meet in seminar groups of between three and six participants, meeting for an hour and a half eight times a year (or equivalent). Each group will have some input from a seminar group leader. However, the aim is to encourage trainees to take an active approach to their learning needs and to identify gaps in knowledge which their own activity can meet. The course trainers will provide the reading material and guidelines to assist study etc and will approve arrangements. Trainees are in weekly supervision with an accredited CAT supervisor, usually carry two CAT training cases at a time and must complete a minimum of eight supervised cases. Supervision is usually in groups of three trainees for 1.5 hours with a minimum of 40 sessions each year. Trainees are expected to attend regularly, and are required to be in supervision until the completion of all clinical work. This will normally take a minimum of two years but may extend up to a further six-months depending on the individual trainee’s case mix and circumstances. Trainees who work in specialist settings (e.g. 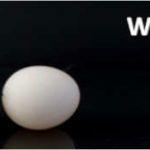 forensic, eating disorders) need to gain experience of doing CAT in adult mental health, by seeing at least two cases. Trainees develop the skill to practise 16 session CAT but should also gain experience in variations of the time limit to 8 session and 24 sessions. Of the eight cases required (which should include all three CAT Tools: Reformulation Letter, SDR and Goodbye Letter) six of these should be of 16 or more sessions. Trainees are required to have an experience of personal therapy during their practitioner training. This is a standard 16 session CAT conducted by an accredited CAT therapist. Training days are in Manchester, with the residential usually near Sheffield. Supervision groups are run in various locations across the UK. Seminar groups run at venues convenient to trainees. We provide a list of CAT training therapists, and trainees may have to be prepared to travel for therapy. Applicants will be expected to demonstrate they are academically capable of undertaking postgraduate study and have personal qualities that make them suitable for the profession of psychotherapy, having sufficient emotional competence to deal with the psychological aspects of the work. The following criteria are offered as a general guide. For example, Catalyse will consider applicants such as High Intensity IAPT therapists who meet entry criteria for the one-year CAT Foundation course but who can demonstrate a level of experience in delivering psychological therapies such that they wish to be considered for the Practitioner course. Catalyse will consider applications from CAT Foundation course graduates who can apply with their foundation year credit to complete year 2 to gain the training, clinical experience and assessments necessary for accreditation as an ACAT accredited CAT Therapist /Practitioner. For details of how to apply as a Foundation course graduate to complete Year 2 alongside our Practitioner Course trainees, please click here. More information about CAT Foundation Training is available on ACAT’s pages – please visit this link to view. Academic Training: £2,000 per year (including ACAT registration fee of £87 per year). Supervision usually costs approx £1200 for the year. Alternatively, trainees may be able to get supervision within their workplace or may be able to negotiate free placements in exchange for seeing clients within the supervisor’s work setting (normally NHS). Optional additions: Books: four course texts, and the ACAT Annual conference. Some of the training days will also include invited speakers. plus one case summary of around 500 words. Shortlisted applicants will then be invited for an interview. Please send application with initial fee of £15, payable to ‘Catalyse’ to Frances Free, [postal address available on request]. Tel: 07842 137745. The application or interview fee can be paid online by clicking here. The initial deadline for applications is Friday 10th May 2019. Initial interview date is Friday 14th June 2019. The 2019 intake commences training on 3rd & 4th October. If you are interested in applying for a later intake, please contact us. Usually on the first day of training each year we have a short Question and Answer session between new trainees and past graduates – you can see some excerpts from those discussions in the document provided below ‘CAT Q&A FAQs’. Please contact us if you have any other queries by clicking on this link. Catalyse (formerly CAT North) has developed a successful CAT Practitioner Training programme in the North of England since 1992. It also offers in-house training and supervision, consultancy and research by arrangement. It is one of the regional trainings of the Association for Cognitive Analytic Therapy (ACAT), for which more information can be obtained online at www.acat.me.uk or email admin@acat.me.uk telephone 01305 263 511.